Prepare for your SSAT exam with confidence, study from the followingflash card resource to improve your memory, and make it easier to learn. Give your kids flash cards to review daily and increase chances of your child getting into private school. Maximize your chances of that hapenning sooner then later. Use flash cards and exam secrets as intercombination of resources to help your child study. Note other resources are also available, but starting off with basic flash cards and exam secrets can at least provide some idea of how to study for this test. After studing with flash cards and exam secrets consider reviewing other resources, such as obtaining premim membership into other resources that we also list in SSAT sectiot. 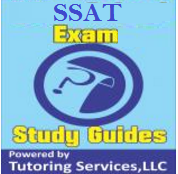 Note before using this study exam secrets material, consider reviewing test prep online resource located here where you can try SSAT exam questions for free to see how you feel and then purchase premium access pass if you like it. Additionally use flash cards to solidify your level of SSAT understanding and improve your memory. The SSAT (Secondary School Admission Test) is administered by the Secondary School Admission Test Board (SSATB). Many independent schools all over the world require the SSAT test for admission. 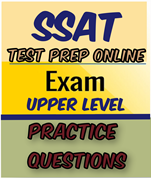 The SSAT Test is administered at three different levels (Elementary, Middle, and Upper). In addition to the verbal, reading, quantitative skills, and writing sample, there is also an experimental section on the Middle and Upper Levels. The SSAT Test supplies independent schools with valuable information about a candidate’s potential for success in the classroom. Want to save money on SSAT books? Go here UsedCollegeBooks.net, compare prices, buy books from the cheapest bookstores, Save environment and Save Trees, help earth stay GREEN, cheaper than self guided courses or tutors (but not as good as courses or as tutors, or perhaps... not the same.... in terms of learning effectiviness) Compare prices and select the best SSAT test prep books or sell your SSAT test prep book directly on college campus or online. Powered By Tutoring Services, LLC helping you save money on education! However, before you buy book view other Best SSAT Study Guides in the form of courses, flash cards, exam secrets, videos, study packs and more, which are better than books! Why should my child take this exam? We reailze that SSAT is difficult for your child to take, but the main question here should be why do you actually need your child to take SSAT? Reason obviously is to obtain acceptable score to help your child get into the right private school. What happens if your child does not get in the right private school? Well then the chances of overall success in getting proper education in comparison to simply getting education in public school diminishes. Lots of parents fight for their children to get into right private independent school, often parents want what's best and that is understandable, however to ensure that you children do well and pass the exam with the appropriate score, it's important to know variety of sections such as quantitative, reading comprehension, verbal and writing sample. Often simply studying from book is not enough however it does increase chances of student doing better. Therefore in this site we compile variety of resources to help your son/daughter prepare for your SSAT exam or ISEE or any other private exam and included variety of recommended study resources. As you scroll further you will see links and recommended study guides, however first take a look at what is covered on the exam. The SSAT Quantitative section is made up of word problems that measure the student's ability to solve problems involving quantitative concepts. The SSAT Verbal section is made up of synonyms and analogies and is used to assess verbal reasoning and one's understanding of language. The SSAT Reading Comprehension section requires students to read passages and then answer relevant questions. 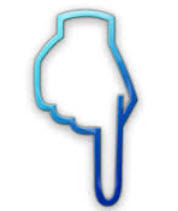 The SSAT Writing section provides students with a prompt (a picture prompt for elementary level) and the students are to write an essay in response. How is the SSAT Exam Administered? From the moment you are admitted to the test center until the time of dismissal, your test administrator follows precise instructions for the proctoring of the SSAT. Any deviations from these uniform testing conditions are reported immediately. Of course, a student with a disability may apply for testing accommodations, but the processes and procedures for the test's administration remain the same for every student. Be sure to check out official SSAT site for any additional info. The SSAT is highly reliable. According to recent studies, SSAT scaled score reliability is higher than .90 out of 1, for both the verbal and quantitative sections and is approaching .90 for the reading section, which is considered quite high. In case if you decide your child to prepare for SSAT. If SSAT is the right test, then come back to this website and review variety of resources that we have compiled for you, making it easy to study for this exam. Regardless if you are interested in ISEE or SSAT test prep we got you covered. How to study for SSAT Exam? Studying doesn't have to be hard, we made it easy for upper, middle and lower level students to prepare for your exam. Review collection of the study guide vendors below, ranging from study guides, learning resources, useful links, practices tests, flash cards, tutoring resources and more. Some resources even offer premium pass to allow you time based access into practice questions and lessons for variety of study levels. Looking for tutoring job as a private English Tutor teaching SSAT, residing in CT, NY or NJ? Trying to become project management tutor to earn extra income on part time basis? Residing in CT, NY or NJ? Apply with Tutoring Services, LLC to be advertised on our loacl tutoring network of websites. (opportunity limited to Bergen County NJ, Westchetser County NY, Fairfield County CT and New Haven County tutors). Tutoring Services, LLC does not stop here in helping students improve their chances for passing their SSAT exam and getting into their independent school. For students who already have used project management textbook or looking to buy SSAT book directly from another student in School or online for the cheapest price, then don't hesitate to visit our sister site UsedCollegeBooks.NET and search for your SSAT textbook today. Want to continue browsing more for variety types of study guides? We did all the hard work and put them together for you, to choose the best one. Be sure to select filter to show more than 10 study guides below to see what resources are best for you. Note we listed only upper level SSAT resources if interested in other type of resources more then just upper, such as lower and middle level, either click here for flash cards and exam secrets, or here for premium membership access or individual test preparation needs for your exam.